I don’t like drinking water. I can’t help it, just never liked the taste of it. Or lack there of.. Fresh juice gives me a bloated feeling after 3 glasses, and coffee and alcohol of course only dehydrate you so what to do? Until the new supermarket (well new, it is in Arusha terms) started importing Evian! I know, I know, the carbon footprint of one bottle is so huge I should be ashamed of myself but I swear it is the only water that tastes good. One colleague of mine mocked me… until she tasted it. 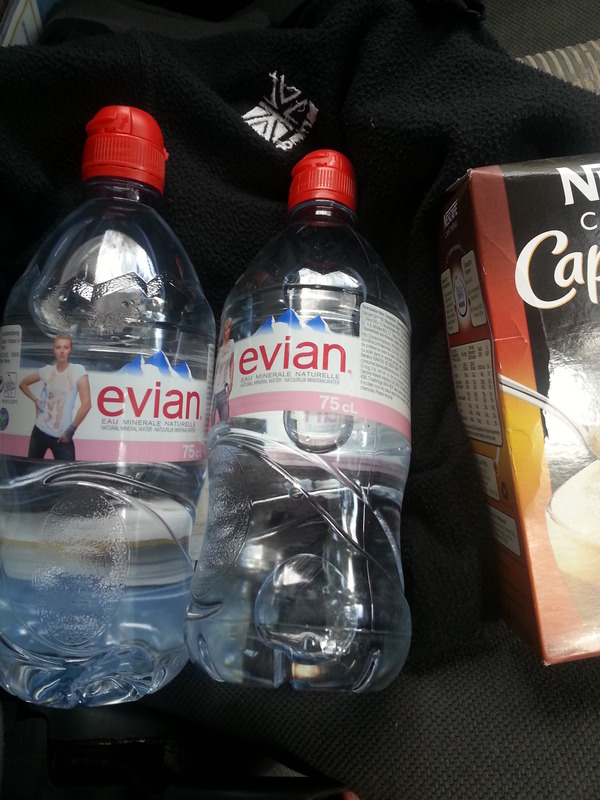 Now when I ask her “I am going to the shop, want something?” she says “yes… (throws eyes to the floor in shame).. Evian”. Best water. I am telling you.